It’s Monday morning and that means it’s time to take a look at our 6th submission in our logo makeover contest. We’ll round out the final 10 later this week. 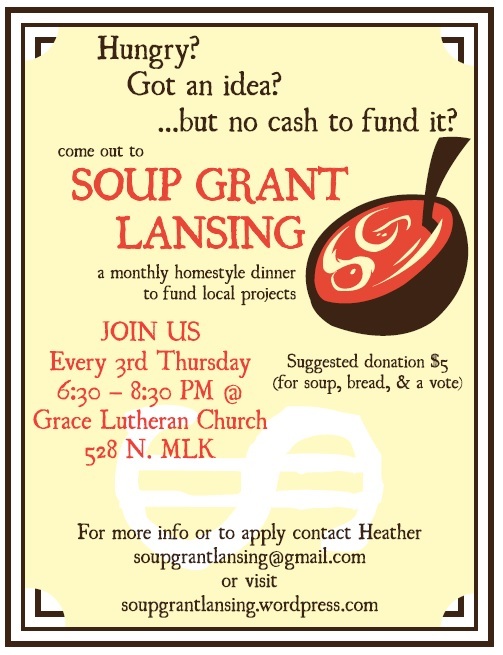 Join us on March 20 for SoupGrant to vote on your favorite! We’ll have event details up shortly. Today’s submission is from Sophia of Mason. About the designer: I’m currently attending Lansing Community College and am in my third year working towards an associates degree in Graphic Design. I have a four month old son at home and I love to draw and watch animated movies. To see more of Sophia’s work, check out her portfolio!